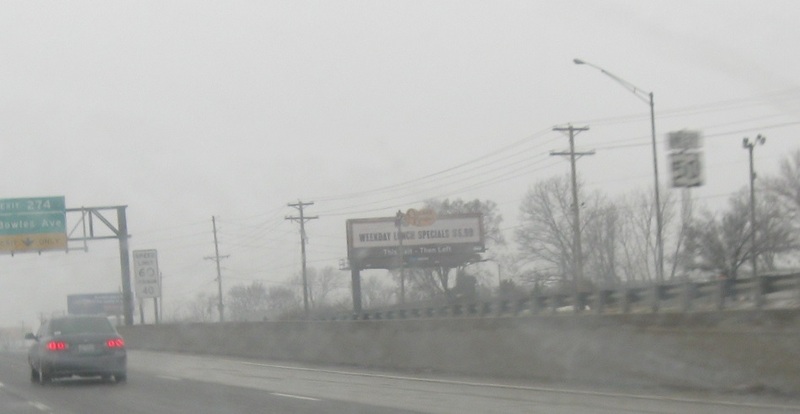 After we cross I-270, we’re reminded that we’re on historic Route 66. 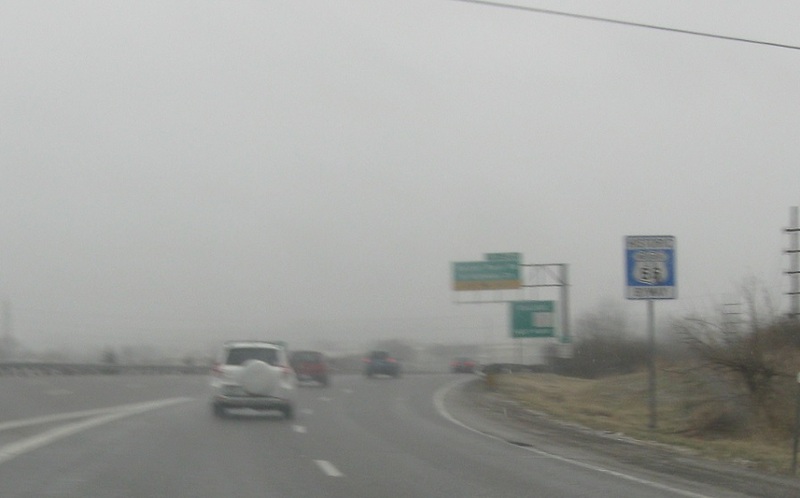 Because Missouri now uses enhanced mileposts, they’ve opted out of signing interstates with reassurance shields for reasons that make no sense. 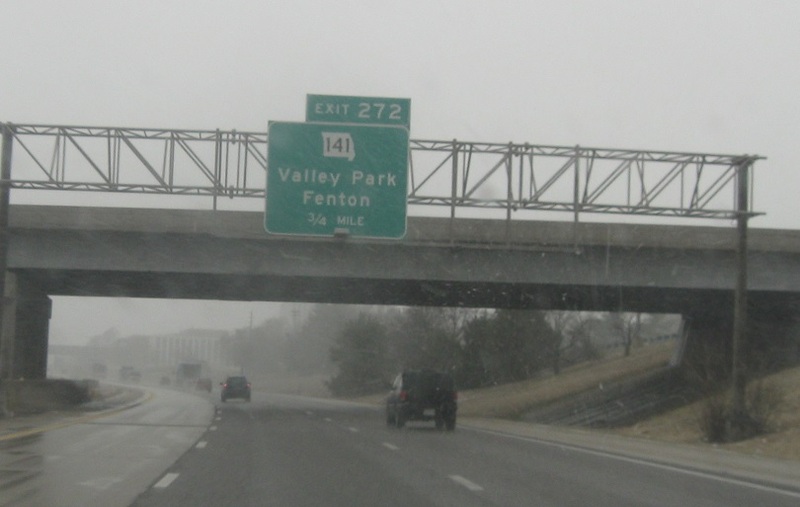 Anyway, we’re on I-44 as well as US-50, not just US-50. 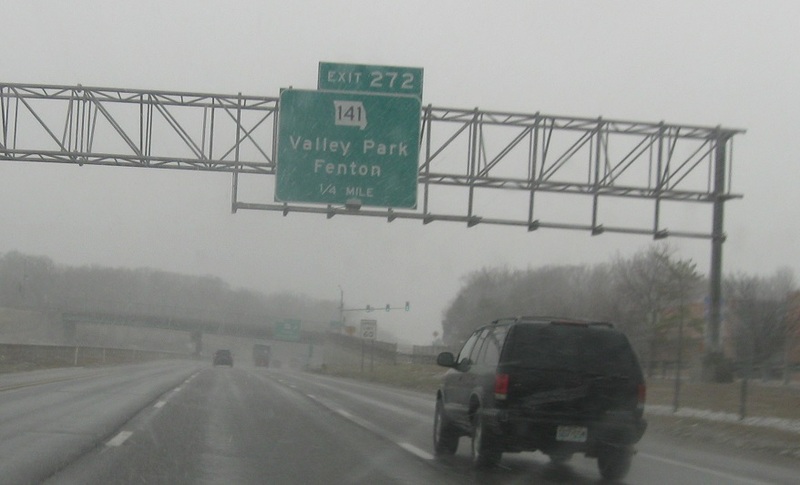 As we drive through rare St Louis snowfall, we’ll approach Route 141. 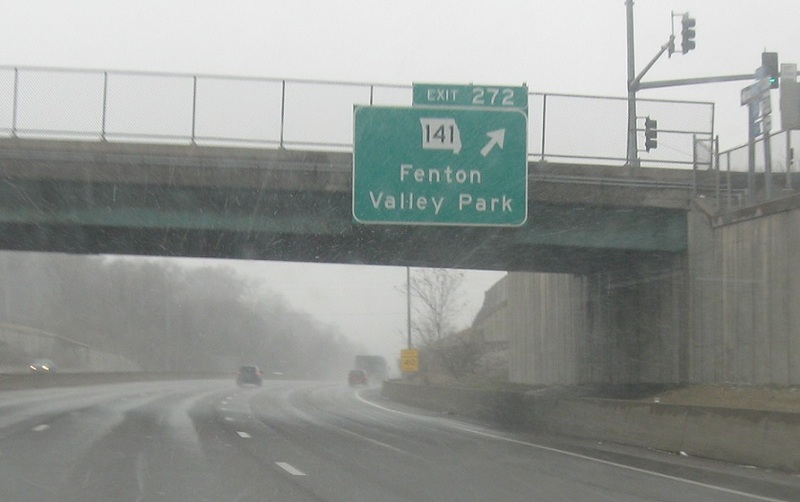 Reassurance shield after the Bowles Ave. interchange. 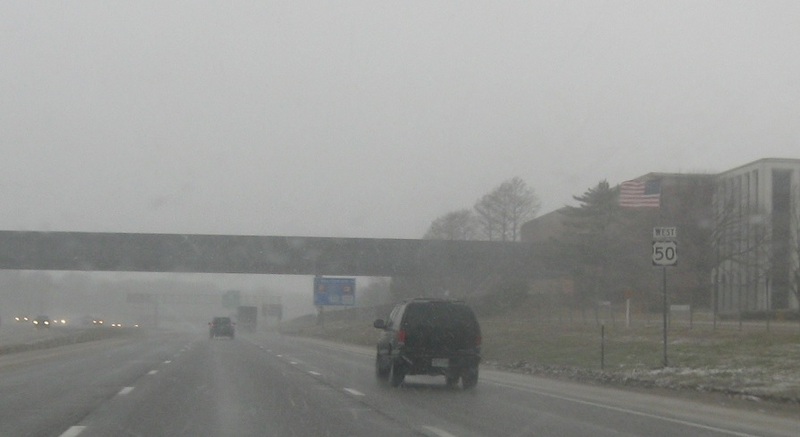 1/4 miles to Route 141.